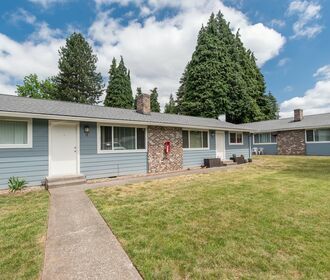 Bryant Village Apartments is an ideally located apartment community in vibrant Vancouver, WA. 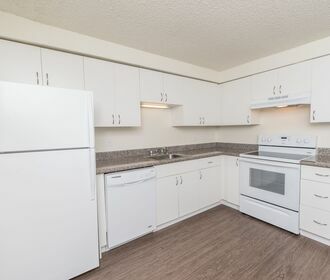 Tucked away between the hustle of downtown Vancouver and the shopping centers of East Vancouver, Bryant Village Apartments offers the quiet serenity of residential living while keeping you close to popular hot spots including Regal Cinemas, Target, Clark College and more. Approximately 11 miles from downtown Portland, Bryant Village Apartments offers a location ideal for commuters. This tight-knit community is also ideal for families with all levels of education nearby. 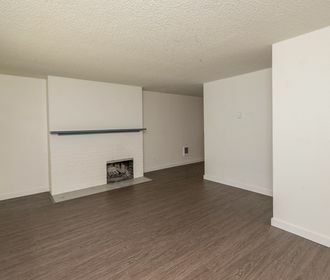 Offering newly renovated 2-bedroom homes you will revel in your homes new hard surface flooring, quartz counter tops, matching modern kitchen appliances, wood burning fireplace and in-unit full size washer and dryer. Bryant Village Apartments is a pet friendly community; please refer to our pet policy to ensure that your furry companion meets our guidelines! Do not miss out on these amazing home! Call to schedule an appointment to tour your new home today!